A new report from Duke University’s Helen “Sunny” Ladd and University of Rochester’s John D. Singleton uses North Carolina data to conclusively show the negative impact charter schools have on the finances of traditional, inclusive public schools. The report confirms what traditional, inclusive public school advocates have been saying for years: charter schools drain resources from our public school system. School districts face a number of fixed costs such as utility costs and central office administration. When a student leaves the traditional public school system for a charter school, the school district loses the average funding for a student. But the district still incurs these fixed costs. For schools, even many variable costs are rather fixed in the short term. A district losing funding on account of a student’s departure can’t fire 1/20th of a teacher; the school bus may still have to run the same bus route. Importantly, the researchers are able to use detailed balance sheet data to put a dollar figure on that drain. The report estimates that increasing charter enrollment in Durham has reduced per-student funding by $500 to $700. These costs have become more pronounced as the share of charter students in Durham now approaches 16 percent. The report also looks at the fiscal impact of charter schools on five rural districts where the charter enrollment figures range from 3 percent to 14 percent. For Iredell and Orange Counties, the report estimates a negative impact of between $200 and $500 per student. Estimates are slightly smaller for Buncombe, Cabarrus, and Union Counties. The research is particularly important given the rapid growth of the charter sector since the state lifted the charter school cap in 2011. 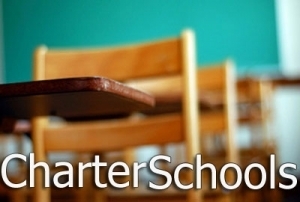 Since then, the number of charter schools has increased from 99 to 173, and the number of students attending charter schools has risen about 150 percent. This new report indicates that traditional, inclusive schools will continue to face added budget pressures if the charter sector grows further. The report highlights the need for additional state funding to ease the fiscal burden charters place on inclusive public schools. One recommendation is for the state to provide “transitional aid” to mitigate the fiscal impact of charter school openings or expansions. Of course, charter schools aren’t the only school choice policy creating fiscal pressures for public schools. Vouchers and voucher-like “education savings accounts” similarly reduce per-student funding for public school systems without providing relief on fixed costs. Hopefully, this report, data on the weak performance of recently-opened charter schools, and further evidence that North Carolina’s charter schools are increasingly contributing to racial segregation will cause General Assembly leaders to reconsider their current appetite for additional charter school expansion.